As obesity rates continue to rise, so do trendy diets. Often targeting your metabolism, these diets can be anything but beneficial. More often than not, they’re actually a waste of money and if anything, frustrate people to the point that they give up. As you alter your lifestyle, learn to work with your metabolism. Trust me, it will be your biggest supporter — and even act as your own personal trainer. What’s up with my metabolism? You likely know at least one person who can literally eat whatever they want and never gain a pound. What’s that all about? Why is that some people struggle with their weight for decades, while others never have to worry about their waistline? Although there are a number of environmental and genetic variables involved, a core contributing factor is one’s metabolism. More specifically, your metabolic rate. It is not fully understood why metabolism varies between people, but some potential explanations include a person’s gender, age and genetics. The amount of lean muscle mass you have on your body is also believed to play a key role. Involving many chemical processes, your metabolism is much more than a mechanism you can tweak. It is required to sustain life, as these processes occur in each and every call. Helping you turn the food you eat into usable fuel, your resting metabolism is what accounts for most of the energy you burn. In terms of your weight, the faster your resting metabolism, the more calories you’ll burn. Although your resting metabolic rate will vary in comparison to others, for most people, their resting or “basal” metabolic rate accounts for around 60 to 80 percent of total energy expenditure. Many experts agree that it’s challenging to “boost” your metabolism. However, it’s certainly not impossible. Before we get into what you should do, let’s touch on something you should definitely, 100 percent not do: crash diet. When you begin a drastic diet plan, specifically a crash diet, you significantly impact your resting metabolism. As stated in a recent study, published in Eating Behaviors, after studying 4,900 participants (between the ages of 24 and 34), regular eating and a history of no dieting was associated with successful weight management. It was concluded that dieting can actually lead to more weight gain as you get older. So, starving your body of food is out. Instead, here’s what you should do. Those who incorporate bursts of speed may lose three times as much weight. It’s well understood that muscle cells require more energy than fat cells. That is why people who have more muscle tend to have a faster working metabolism. Although you should focus on resistance training, experts agree that the most beneficial workouts are those that mix things up with intervals. If you are aiming to lose weight, start to incorporate sprints into your routine. 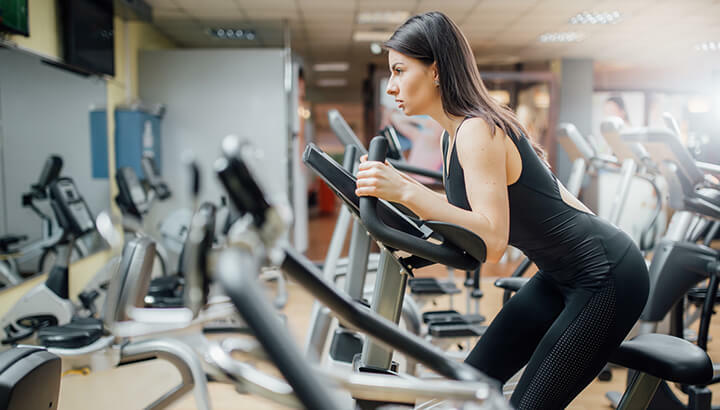 One study, published in the International Journal of Obesity, found that women who incorporated sprints into their cardio workout lost three times as much body fat compared to those who kept a steady pace. This included core and thigh fat. It is believed that bursts of speed (which is easy to accomplish on a stationary bike) can stimulate a greater fat-burning response. To help maintain lean muscle mass, you should also consume more nutrient-dense protein sources. Well-hydrated people have higher metabolic rates than those who don’t drink enough water. Some studies suggest that as many as 75 percent of Americans do not drink enough water — yikes! Researchers from the University of Utah found that when people drank eight to 12 eight-ounce glasses of water daily, they showcased higher metabolic rates than those who drank four. 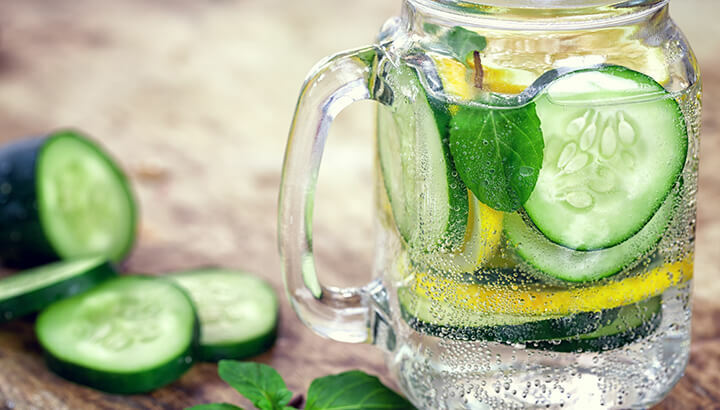 They reported that “When you dehydrate three percent of your body weight, this results in a two-percent decline in your ability to burn calories. Once you feel thirsty, your body has already lost two to three percent of your weight due to a lack of hydration. It is also important to note that those who drank more water also experienced more energy and higher levels of concentration. Researchers have found that drinking green tea every day can lead to weight loss. Green tea can help you meet your hydration needs while boosting your metabolism. It is ECGC, an active plant compound that promotes the burning of fat. 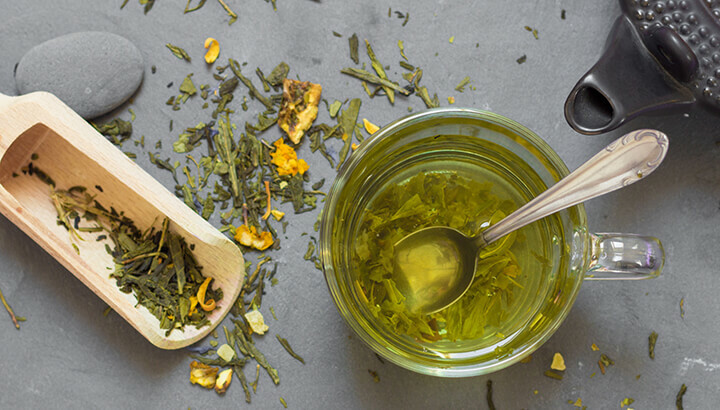 Not only can this tasty drink boost your metabolism, but researchers found that drinking four cups of green tea daily led to a significant reduction in weight and systolic blood pressure. Studies have shown that people who sleep less have a higher body mass index. A lack of sleep will not only affect your mood and ability to focus but will also negatively impact your metabolism. Poor sleep patterns can result in an imbalance of key hormones, including ghrelin and leptin. Since these hormones regulate your appetite and energy use, be sure to get a minimum of 7.5 hours of rest each night. Those who sleep less have also been shown to have a higher body mass index. Researchers have found that pesticides can negatively impact thyroid function. 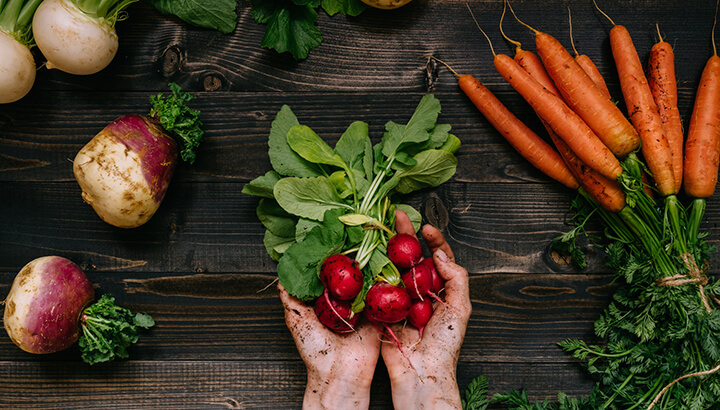 Giving you another reason to ditch pesticides, researchers found that dieters who showcased the highest levels of organochloride pesticides experienced impaired mitochondrial and thyroid function. This would directly impact your metabolism. If you want to take your metabolism-boosting diet even further, consume more chili peppers, lentils, dark leafy greens, nuts, seeds and cinnamon. When it comes to your metabolism, there is no overnight solution. If you are aiming to achieve a healthier weight, there’s no substitute for a balanced, active lifestyle. To guide you along your journey, please feel to read: Proven Lifestyle Changes To Effectively Lose Weight And Keep It Off. Hey Buddy!, I found this information for you: "Try These 5 Tricks To Speed Up Your Metabolism Naturally". Here is the website link: https://www.thealternativedaily.com/how-to-speed-up-your-metabolism-naturally/. Thank you.